The Korean auto manufacturer has announced to introduce its new sports concept car at the show, which will take place in Detroit this month. 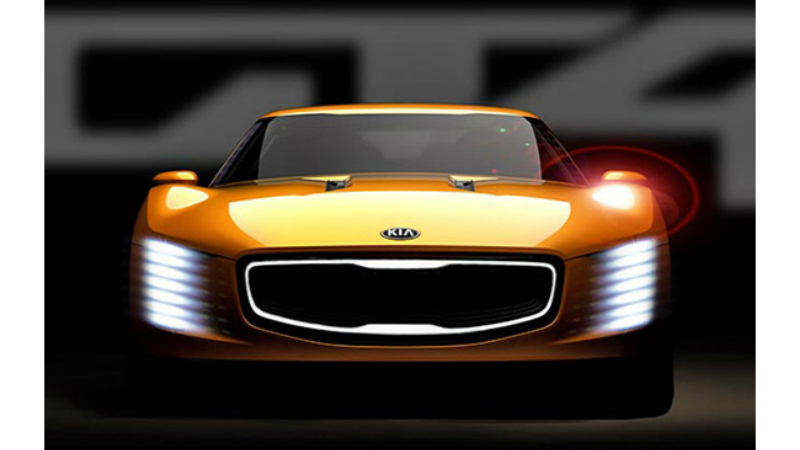 It will be a new Kia GT4 Stinger. This concept is based on a racecar and includes the specification of GT4. The Stinger is very low car, which has GT4’s grille and LED headlights of the prototype of Audi Le Mans. Besides, the concept gets sports 20-inch wheels, the front splitter made of carbon fiber. The GT4 Stinger concept is equipped with a 2.0-liter four-cylinder turbocharged engine, which can produce the output of 315 horsepower. This model is planned to be offered with the rear-wheel drive only. According to the official statement of the carmaker, Kia promises this car will command admiration and become popular among most potential customers in the world. Moreover, the Stinger is good driven one, which gives pleasure on both tracks and roads. Unfortunately, today we are able to share just a small part of information about this new concept of the Korean manufacturer with you. However, all details will be show off soon –at the annual auto show in Detroit next week.